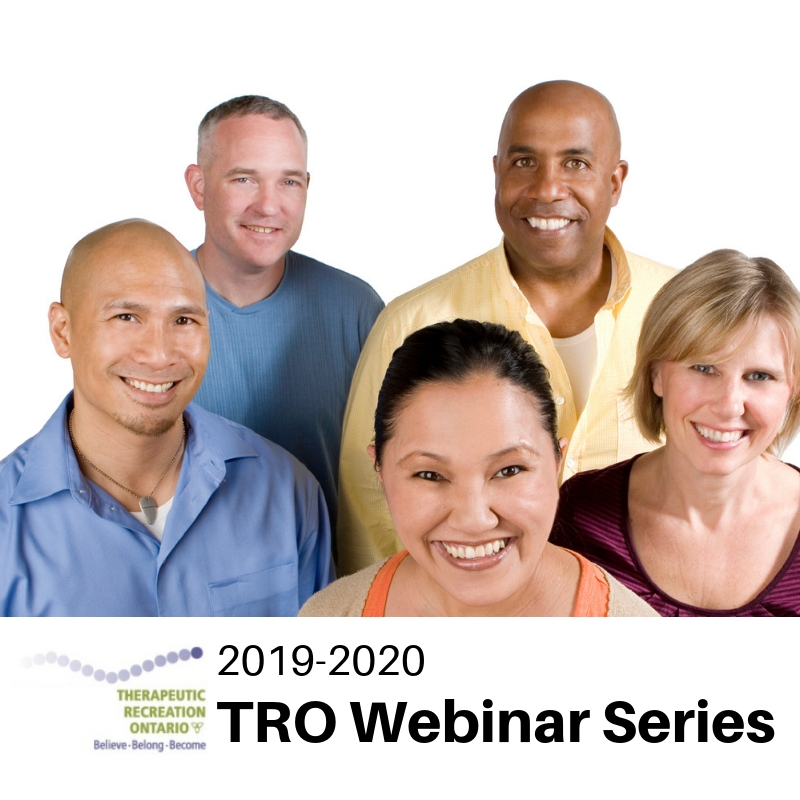 Planning is now underway for the TRO 2019-2020 Webinar series. We are once again hoping to provide five more sensational TRO Sponsored webinars. This is an exciting opportunity for you to share your knowledge and experience and make a contribution to the field of Therapeutic Recreation! TRO invites interested professionals to submit their proposal by June 10, 2019 using the online form below. Acceptance of proposals for presentation: The Webinar Committee will review all completed proposals and will notify presenters via e-mail by July 18, 2019. Note: Proposals must be complete and meet the requirements for a TRO Sponsored Event. To ensure quality outcomes of the TRO Webinars, presenters will be chosen based on experience with facilitation of professional sessions and ability to demonstrate expertise or competence in the area to be presented. The Webinar Committee will be applying for TRO Professional Contribution educational points for all presentations and PCC transcripts will be available for attendees to purchase. Accepted presenters will receive 2 professional contribution points from TRO per hour presentation (eg. 2 PCCs for 60 minutes, 3 PCCs for 90 minutes) that may be utilized toward registration with TRO (R/TRO, R/TRO DIP), or maintenance of your designation.